Without question, the most common problem with copiers is simple paper jams. They are an easy problem that can cause a lot of damage if you do not know what you are doing. Imagine if you are on deadline while working on an important job. 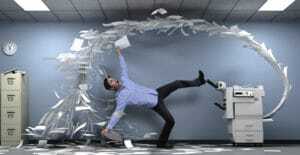 The copier gets a paper jam and you don’t know how to fix it, while your precious work time is ticking away. Fixing a paper jam is fairly easy and at Spokane Copier we want to prepare you for the possibility of this happening to you. When fixing a paper jam it is important to be gentle with your copier. 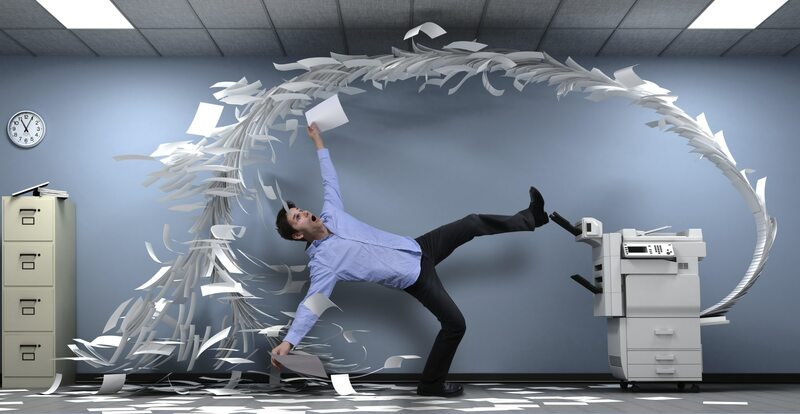 A paper jam is a common occurrence, but if you are not careful then you can cause real damage. Here are a few steps to follow when fixing a paper jam. Locate the jam in the copier. The cause of the pesky jam is usually in the paper tray. Check and see if this is the case. If it’s not, then you may need to get inside the copier. Gently remove the paper. Slowly, carefully remove the paper. Do not yank or rip the paper. Pulling too hard can break something else in the copier, causing more damage. Ripping the paper can only accentuate the problem. Remove all small paper scraps. Double check to make sure everything is clear. Even a small tear can cause future damage. Run a cleaning program. Running a cleaning program will remove any excess dust or tiny scraps. It will also clean the brushes and prepare for the next print job. If you follow these steps then you should be able to fix your jam. If you are still not able to get your copier working then you may have a bigger problem. Spokane Copier can help you troubleshoot your issue or help get a technician to work with you. Fixing a paper jam should never stop you during your work day. For more help with your copier, call Spokane Copier today.